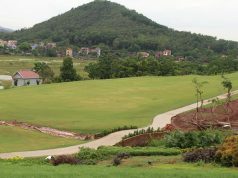 Known as the first exclusively private golf course in Vietnam reached the International Championship standard, entry into the course will only be open for members who have registered membership card here. The Golf Club had a limited membership at the time of perhaps no more than 400 golfers. 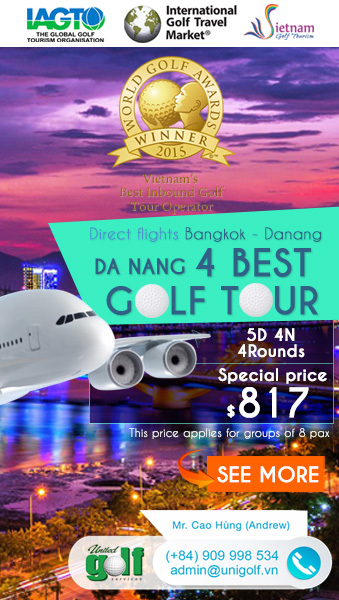 Van Tri Golf Club is a great private course which enjoys a very convenient location 20 kilometers from the center of Ha Noi or just 5 minutes by car from the Noi Bai International Airport. Designed by the relatively unknown architect named Peter Rousseau of P+Z Design. The course offers golfers of all levels – professionals and amateurs alike very challenging round of golf. The endless expanse of green grass will make a great first impression, the color of grass, trees, greens and lakes… all of it together creates a comfortable and peaceful feeling for golfers. 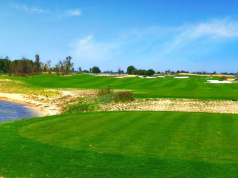 The golf course has received many notable awards, such as “the most beautifully designed golf courses in Vietnam”, or “the best environmentally friendly golf course”. In 2011, Van Tri Golf Club was proud to be the first and only golf course in Vietnam get the certificate of environmental management. 18 holes of course at Van Tri Golf Club laid out in one long loop, there is no beginning and there is no end. A mix of greens, fairway, bunkers combined with several water hazards offers the real challenge to the 18-hole championship course. At over 7200 yards, the Tiger tee offer a challenging test of golf for the most experienced golfers while three more sets of tees from 6700 yards give you the flexibility to choose challenge that is right for you. The breath-taking clubhouse with all the facilities are designed by Graham Taylor Designs. They took great please in designing the clubhouse to make sure that it met the most stringent requirements of a world-class golf course. 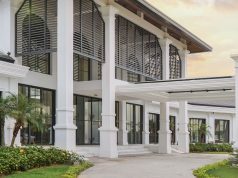 The air-conditioned locker rooms are spacious, safe and secure, plenty of relaxing outside space overlooking the championship golf course’s, an ultra modern bathroom with Jacuzzi bath and over head shower, all fully tiled. In addition, Van Tri Golf Course is also the only golf course in Vietnam which has unique locker room reserved for the gentlemen. All of it together makes you feel like you are in “your golf course”. Address: Kim No Commune, Dong Anh District, Hanoi, Vietnam. 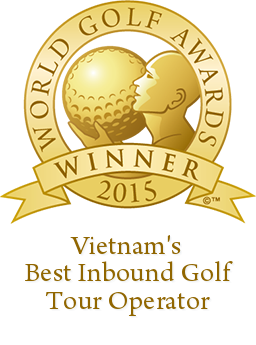 Van Tri is the private Golf Club, so you can booking directly, you can contact UniGolf Company in Vietnam, they can handle your booking.